I think Skull is a perfectly entertaining movie, but it’s not in the same class as its predecessors. Honestly, it can be tough for me to separate my feelings about the film that exists and the film that I hoped to see. Just as The Godfather Part III and The Phantom Menace suffered from years of pent-up anticipation, fans entered Skull with enormously high expectations. Maybe someday I’ll be able to view the flick better on its own merits, but right now I think it’s difficult for me to watch Skull without the interference of my dreams of what could have been. Some of that informs Skull, and viewers will likely experience some déjà vu, as the flick’s Soviets play and feel an awful lot like the Nazis in Raiders and Crusade. It’s as if the folks behind Skull just took the old German antagonists and slapped new clothes on them; there’s very little to distinguish this flick’s Soviets from the Nazis of the earlier movies. That’s one moderate drawback, as it’d be nice to get some villains who feel less familiar. Colors looked solid. The movie varied between amber and teal and didn’t present the world’s broadest palette, but it included a good enough range of hues that consistently came across as tight and vibrant. The tones never seemed overly heavy, and the film gave them good definition. Black levels seemed deep and dense, and low-light shots demonstrated fine clarity and never became too thick. I found little about which I could complain as I watched the consistently positive visual presentation of Skull. 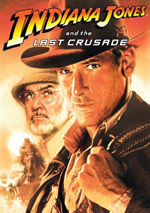 In addition, the DTS-HD MA 5.1 soundtrack of Indiana Jones and the Kingdom of the Crystal Skull seemed very good. The mix offered a broad and engaging experience. Music showed nice delineation and spread, and the effects created a good sense of atmosphere. Effects seemed appropriately placed and blended together smoothly. Those elements moved cleanly across the channels to demonstrate a fine feeling of place. How did this 2012 Blu-ray compare to the original 2008 version? I think both looked and sounded a lot alike. The Blu-ray swapped the original’s Dolby TrueHD track for this one’s DTS-HD MA mix, but I’d be hard-pressed to identify any differences between the two. The visuals also came across as very close to what I viewed on the original. Both the 2008 and 2012 Blu-rays offered high quality representations of the film. Because it comes as part of a five-disc/four-movie collection, almost no extras show up on the Skull platter itself. We get three trailers. These are listed as trailers 2, 3 and 4, which makes one wonder what happened to trailer 1. 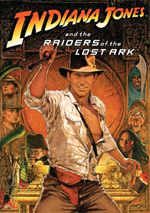 After 19 years out of cinemas, could the return of Indiana Jones live up to expectations? I think it could have done so, but it didn’t. 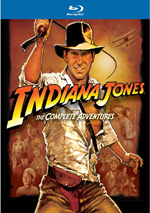 Indiana Jones and the Kingdom of the Crystal Skull provides an amiable and occasionally exciting affair, but it’s not one that matches up particularly well with its three predecessors. Though it shows periodic signs of life, it doesn’t maintain them strongly enough to become better than “pretty good”. The Blu-ray brings us strong picture and audio. While not a great adventure, Skull still can be fun, and the disc makes it look and sound terrific. 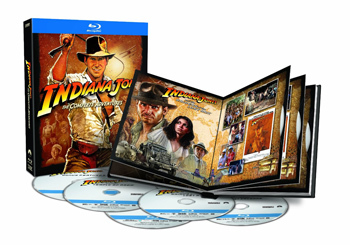 Note that as of September 2012, you can purchase this version of Crystal Skull solely as part of this “Complete Adventures” set that also includes 1981’s Raiders of the Lost Ark, 1984’s Temple of Doom, 1989’s Last Crusade, and a disc with bonus materials. 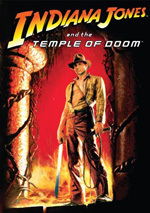 As linked earlier, however, a standalone Blu-ray of Crystal Skull from 2008 remains available.